Bristol’s Town & City Clerk Office, One of the Busiest Offices in City Hall, Offers Service with a Smile Every Day! Every town in Connecticut has a Town Clerk, but only about fifteen cities have a City and Town Clerk. Typically the positions are held by two different people. In Bristol, the Town Clerk also serves as the City Clerk and the Registrar of Vital Statistics. In this capacity, the City Clerk serves as the official secretary at the City Council and Joint City Council and Board of Finance meetings as well as the certifying official on municipal documents. The office of the Bristol Town & City Clerk has been in existence since 1785, with the first woman Town Clerk elected in 1975. Today the Town and City Clerk is nominated by the Mayor and appointed by the City Council. The Town & City Clerk’s office is one of the busiest offices in City Hall with over 90,000 transactions per year. It is considered the hub of local government. In 2018, there were 66,150 monetary transactions with over $3.5 million in revenue collected for the City of Bristol and the State of Connecticut. 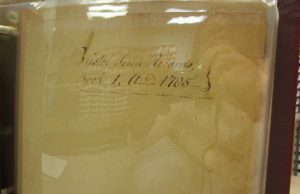 The department houses more than 2 million town and vital records – marriage certificates date back to 1816, birth and death certificates start in 1852, and land records begin in 1785. The staff of the Town & City Clerk’s office is led by Therese Pac and is comprised of a team consisting of Jennifer, Merina, Marriya, Patricia and Assistant Town Clerk Dawn LaBella who bring passion and a cheerful demeanor to their job every day. Guiding the public, who visit the Town & City Clerk’s office each day, the staff assists in helping them navigate the many services offered – from obtaining vital records, to recording land records, to applying for a marriage license, to helping veterans file their discharges for tax exemptions, to issuing a dog license, or advising City employees on the Freedom of Information laws to name only a few – they are always willing and able to be helpful in any way they can. They exhibit compassion, knowledge, experience and never ending patience in their interactions with the public. Whether it’s Jennifer, Merina, Marriya or Dawn working with the attorneys, title searchers, veterans or the general public or Patricia translating Spanish for our customers, they strive to provide the highest quality of customer service. Along with serving the public at City Hall, the Town & City Clerk’s office was part of the March meeting of the Mayor’s Youth Cabinet meeting on March 12th at City Hall. Therese Pac and members of the Clerk’s office reviewed the various functions and operations of the Clerk’s office along with interactive exercises for those in attendance to learn more about the many services offered to the public. The Mayor’s Youth Cabinet is for Bristol youth, ages 10 to 18, and is an opportunity for young people to be connected with their local government. Bristol is one of the most technologically advanced Town & City Clerk offices in the State of Connecticut. Prior to 1998 when personal computers and computer programs were not readily utilized in local government, everything was done by typewriter or manually. With expertise from the City’s Information Technology department, the current Town Clerk collaborated to create Access databases for processing absentee ballots, veterans’ discharges, and dog licenses. These databases saved thousands of dollars for the City by simplifying and automating the processes. Bristol was an early adopter in technology and accepted electronic recording of land records and implemented an on-line marriage worksheet making the process of applying for a marriage license more convenient in 2014. The Bristol land record indexes have been on-line since 2011, and document images and maps have been available to subscribers electronically since 2013. 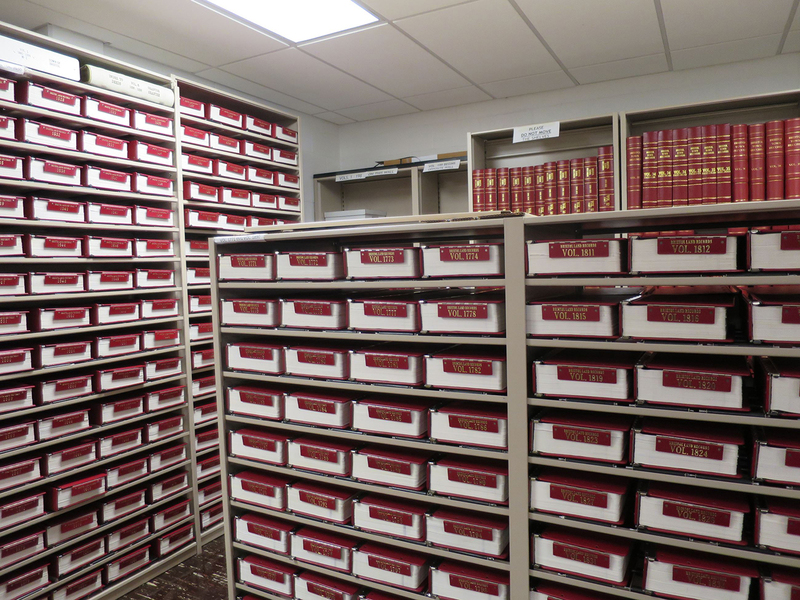 Continuing this automation trend, by 2020 more than 2,100 land record volumes dating back to 1785 will be electronically accessible to subscribers and in the office.